For over 130 years, Joseph Levine & Sons has served the community in Philadelphia and its surrounding suburbs. Founded in 1883, our firm has been continuously owned and operated by a member of the Levine family, passing from father to son for five generations. 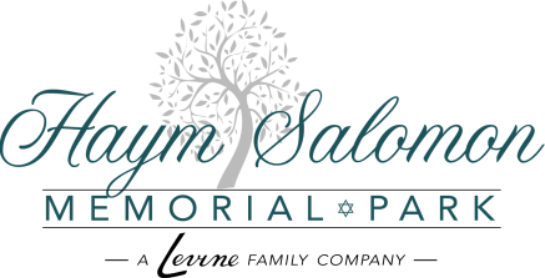 In 1986 Joseph H. Levine purchased Haym Salomon Memorial Park. Today, many years later Joe Levine's vision continues to grow as his vision and legacy is a part of the people we serve here at the park. Former member of the Golden Slipper Club and Charities and the former Golden Slipper Club Uptown Home of which he was a past president of both the club and the home. Served as co-chair of the Jewish Federation of Greater Philadelphia Allied Jewish Appeal campaign; 1995 – 96. Recipient of the Golden Slipper Club “Gold Medallion”, The Myer & Rosalie Feinstein Young Leadership Award, Philadelphia County Council of Jewish War Veterans “Man Of The Year” Award, The Passover League’s “Award Of Merit”, The Jewish Theological Seminary Shin award 1999, and the Israel Unity Award. Was active in Jewish Federation of Greater Philadelphia. Graduate of St. Joseph’s University and holds a degree in mortuary science from Pittsburgh Institute of Mortuary Science. Fifth-generation owner/partner of Joseph Levine & Sons. Served on Temple University Hillel Board of Overseers. Member of the Next Generation committee of Ben-Gurion University. Past vice president of the Philadelphia Chapter of AKIM. Active supporter of Chabad-Lubavitch of the Philadelphia 5 county region. Member of the Philadelphia Community Kollel. Member of Aish Philadelphia; past honoree, chair of the annual Israel Awareness event, membership chair and Friday night Gabbai. Member of Har Zion Synagogue in Penn Valley. Member of Lower Merion Synagogue, Bala Cynwyd. Past member of Jewish Federation of Greater Philadelphia’s Jewish Life and Learning Board. Member of Golden Slipper Club & Charities, serving on both the Executive Board and Board of Governors. President of The Passover League of Philadelphia. Active participant in the Renaissance Group of Philadelphia’s Jewish Federation. Member of Jewish Federations Ben-Gurion Society. Member of Congregation Beth Or in Maple Glen, Temple Sinai in Dresher & Har Zion Temple in Penn Valley. Resides in Upper Dublin Township with his wife Jen and his two daughters.